Sunshine is committed to openness and transparency, as well as proper financial stewardship. 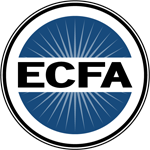 We are a member in good standing of the Evangelical Council for Financial Accountability. To learn more about the different ways to give to Sunshine, please contact us.